SMOKE IN YOUR EYES, NOW THAT'S CAMPING. Nah mate still riding heaps just take it a bit more easy! IF YOU SEE US OUT AND ABOUT COME AND SAY G'DAY! Careful though mine through me into a tree earlier this year and sent me to hospital for 3 days. No more racing for me! OK, this is not a hijack, just info chasing. In the search for fitness we have decided to try bikes that don't just sit on the floor in front of the TV and only have one wheel. 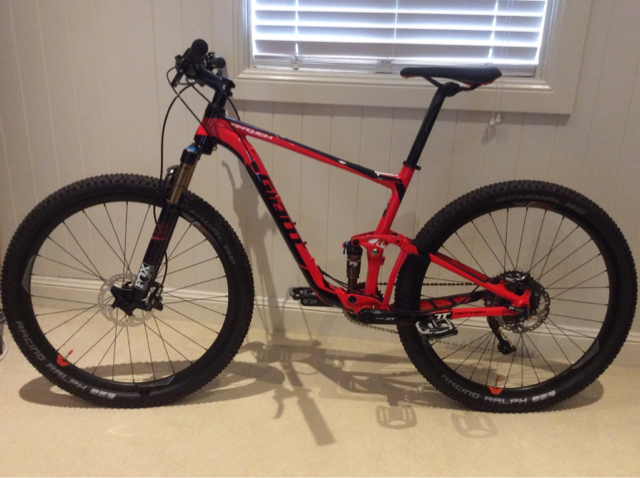 We now have a male and female frame mountain bikes and a hybrid. Are these carriers made with different mounts for this or is this the perfect excuse to get a little mig welder and start burning holes in steel? Best made and 100% Australian made. By a fella' that drives 4wd's and ride bikes. Looks like nice bit of design work and engineering. If we don't give up bike riding after a few goes this looks like it overcomes our problems. They clamp under the handlebars around the stem and around the seat post. The bar then goes in the bike rack clamp. They will keep a ladies bike level in a rack. I bought one a few years ago. Works well, good value for money. Ive mounted a post with a ball on top and fit it over the draw bar on the camper too. Keeps bikes off the roof, and not bouncing around out the back out of sight on the camper too. Fits most bike sizes, I've tried 29" MTB, roadie, 26" MTB, 24", 20" even a 12" glider bike, you do need to think about placement a bit though. Needs a plate under the towball that also prevents me from towing my box trailer without removing the plate. No tilt option if you need to open the he back door of the car. Ok if you can access over the back seats. Strapping the bikes down is three straps each bike, can take a few mins. No very light and takes up a fair bit of space if you take it off the car and throw it in the back. Thanks for the info, I've got a couple of questions. 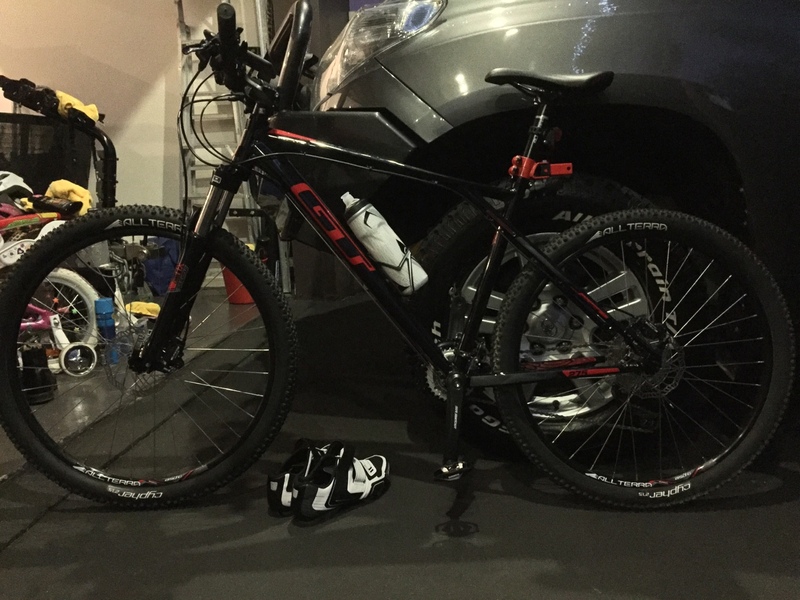 Do the bikes fit with pedals on? Do you have a spare on your back door? If so does it clear the first bike position? Any pics of it fitted? Yes, bikes fit with pedals on. I've found it best to alternate direction with them with the chainring a away from the uprights, sometimes the saddle needs to be raised or lowered to clear the next bike, but otherwise they are complete. Don't have a spare on the door (pathfinder or forester). not sure how it would go around the first bike position. Haven't got any pics with bikes on, but might be able to get some tomorrow if I get home early enough. Nice bike mate. Good to see a proper DH bike. This is my sons bike. 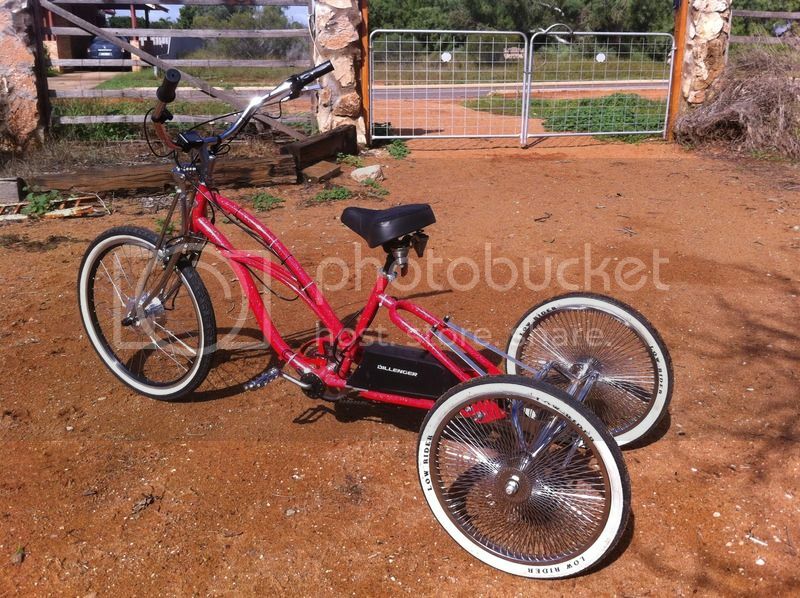 It is an electra cruiser frame with a trike conversion with a 250w dillenger front wheel drive conversion. Thanks, one final question. How easy is it to drop the uprights down so I can open the back door of the Prado? 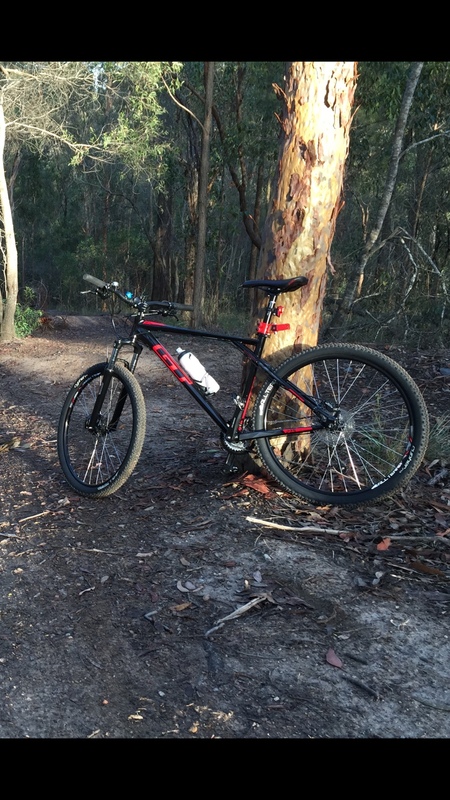 Nice Robert, come for a ride with me around Toohey Forest or Daisy Hill, I ride every second day now and nothing beats a mountain bike ride before work. Picked myself up (upgrade) a new GT Hard Tail a few weeks back as well and been having some fun ever since. Enjoy. PS - Steak Night??? 2009 Jayco Outback Hawk & Prado 150 Series VX D4D - Now we just have to use it - not look at it! 2 OS trips and a couple of interstaters to do before Christmas. I should know next week and will msg you. Stupidly crazy skills that bloke has!